The past 12 months have been the best Ethiopia has had in living memory. Since he was elected Prime Minister, Abiy Ahmed worked hard to liberate Ethiopians from the mental slavery of ethnic apartheid. On April 2, 2018, the ruling Ethiopian People’s Revolutionary Democratic Front (EPRDF) elected Abiy Ahmed, a little-known reformist leader from the Oromo community, as prime minister, setting the stage for dramatic political and economic liberalisation. Given Ethiopia’s gargantuan societal divisions and the breadth and depth of its problems, sustaining such a trajectory takes supernatural abilities. And no man can measure up to that challenge. However, to stay on this hopeful path, his administration now needs to deepen democratic practices and institutionalize the sweeping political and economic reforms. Abiy’s appointment, following a bitter internal power struggle inside the EPRDF, was greeted with unprecedented optimism and hope across Ethiopia and around the world. Exiled EPRDF opponents, hitherto proscribed as terrorists, were invited to return home and pursue peaceful political struggle. The prime minister set up boundary and reconciliation commissions to address disputes over administrative borders, to end inter-communal violence, and to reckon with the abuses of the past regime. He quickly lifted the martial law, released political prisoners and apologized for the violence and excesses of the state. He crisscrossed the country touting his bold philosophy of Medemer (Amharic term for synergic unity). He extended an olive branch to neighbouring Eritrea, ending a two-decades-long cloud of war and stalemate. 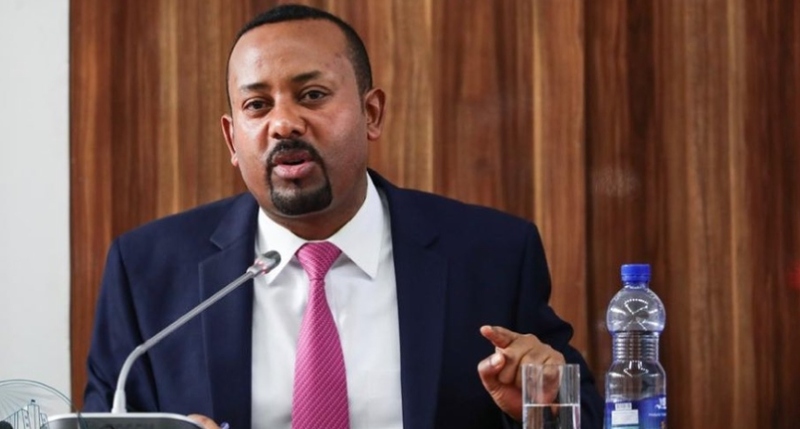 He laid out plans to partially privatize key state-owned enterprises, including the Ethiopian Airlines, Ethiopian Electric Power Corporation, and the sole telecom provider, EthioTelecom. A range of midsized state enterprises, such as sugar plantations and industrial parks, were also slated to be fully privatised. His office is reviewing the ease of doing business index to improve Ethiopia’s investment climate by streamlining regulation, making it easier to start a business and boosting access to finance. The 2020 poll will likely be a referendum on two issues that now dominate the political discourse: the contentious status of Addis Ababa, and the future of Ethiopia’s federalism. The all-important issue of the economy, especially youth employment, is all but forgotten, demonstrating how Ethiopian politics is driven by elite interests rather than the concerns of average Ethiopians struggling to make ends meet. Addis Ababa has taken the centre stage in Ethiopia’s political theater. The constitution recognizes Addis Ababa’s location at the heart of the Oromia state. And it provides for “a special interest” in recognition of this fact. However, Ethiopia’s leaders have failed to determine the details of what that actually entails.